For me, a good hike for a beginner is one that is easy, rewarding, and safe. By easy, I mean the trail is short enough (around 5 kilometres) and doesn’t have any difficult obstacles, river crossings, or roped segments (except for parts when ropes are supportive but not necessary). By rewarding, I mean this must a mountain that has a beautiful trail, or beautiful views either at the summit or on the way. By safe, I mean it should be well-maintained, with personnel that can respond to emergencies, with cellphone signal in most parts of the trail. Other considerations include distance from Manila – you do not want to make your first-timers weary with a long travel time. These are by no means not the only mountains that you can choose for first-timers. Actually, most day hikes around Manila with Difficulty 4/9 or less can be recommended. However, since “What is the best hike for beginners?” is a question that has confronted me many times, I decided that it’s time to come up with my own suggestions. 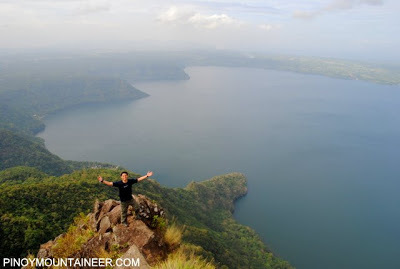 I have arranged these hikes according to difficulty and the time it takes to complete the hike.Important Reminder: This article is intended for mountaineers who want to bring first-timers. If you are a first-timer yourself, be sure to be accompanied by an experienced hiker who can orient you properly. The challenge: Beginners should be assisted when entering and trekking in the cave, as well as when scrambling up the rocks at the top. However this is really an easy hike and most people should find it as such. Why it’s good for a beginner: The views at the Rockies are unparalleled for such an easy and short hike, providing a refreshing and rewarding culmination of a first hike. If you want to convince your girlfriend to hike mountains with you, this is a good place to start: make sure you take nice photos of her at the Rockies. It is also a proper mountain, in the sense that there is a “peak” to be reached, and a trail that’s relatively straightforward. There are rest stops along the way and the trail is not confusing. The challenge: The woodland and grassland hike to the campsite can feel steep for someone not used to hiking, so it’s important to take it slowly. The scramble up to the Rockies can be done by children, but caution must be exercised and the beginner must be warned that the rocks can be slippery; and their heads can hit the rocks above them. Why it’s good for a beginner: Mt. 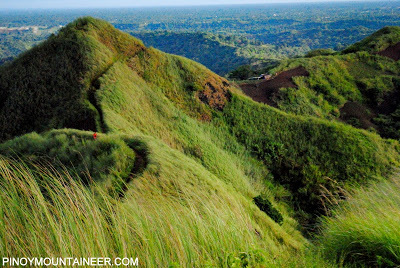 Batulao gives the beginner a feel of what hiking is all about: winding trails, an imposing summit that looks far at the beginning, but is actually within reach in a matter of hours. There are enough rest stops, and much of the trail offers rewarding views. 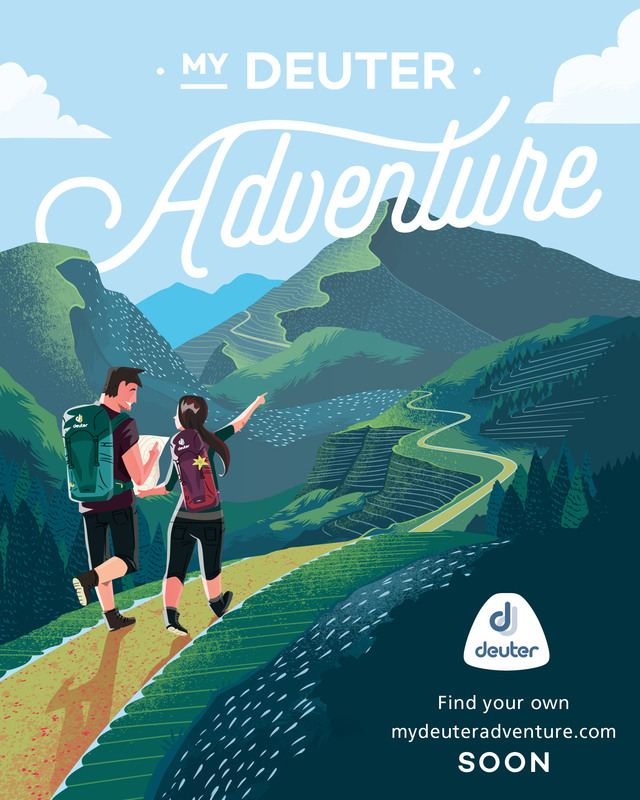 The challenge: It can feel too hot at times, or too muddy at the start, and there are narrow or steep portions in both the New and the Old trails, so the beginner should be oriented properly, and advised to concentrate on the trail. It is also longer than Maculot and Manalmon. 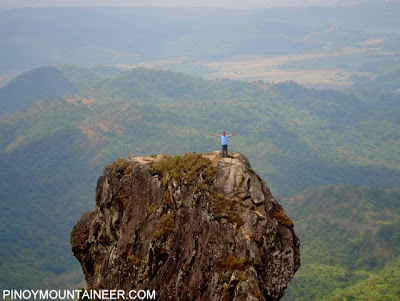 Why it’s good for a beginner: Pico de Loro has a lot of nice things: Well-established trails, nice forests, breathtaking views at the peak, and the unique formation of the Parrot’s Beak or ‘Monolith’ that can be an optional reward for those who enjoyed the hike. 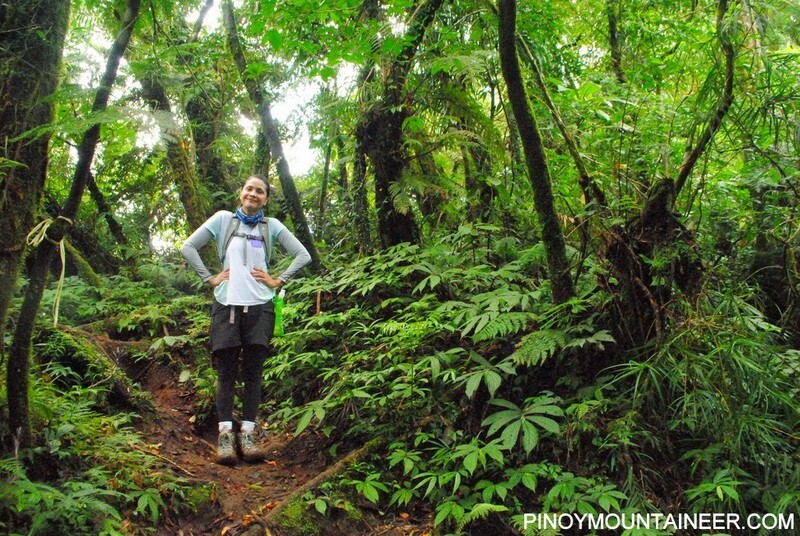 Even experienced hikers love Pico de Loro! The challenge: First timers in Pico de Loro get confused with the trails especially going down (past the first campsite, there is a fork in which you have to make a left turn, counter-intuitively, because the wide trail goes on). If you’re bringing first timers make sure you know the way. The trail can also feel long relative to Maculot or Batulao. Why it’s good for a beginner: Mt. Makiling is not a very popular choice for a first mountain, I think it is a good choice. Especially now that it’s becoming easier to start from the Nursery, it is a very manageable 3-4 hour trek going up. Because it’s almost completely forested, beginners won’t easily get drained with the heat, and the trail is well-maintained by the forest rangers. 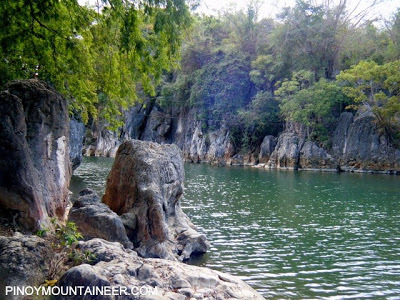 Though the summit is also forested and doesn’t have views, there are parts that offer a glimpse of Laguna de Bay and lakeshore towns of Laguna. What will enchant the beginner here is the loveliness of the forest, not the views. The challenge: It can feel too long and the 600-meter altitude gain from the Nursery may be too much for some, but most people with average physical fitness can manage Makiling. The soil can get a bit slippery at the top, and beginners may freak out with limatik (leeches) but there’s always the first time for everything. Talamitam, Manabu Peak, Sembrano, Tagapo, Gulugod-Baboy and Balagbag would also be nice options. If these mountains happen to be closer or more convenient for you, then by all means consider them and the other mountains as well. What to pick among these choices? It depends on the people you want to bring. For those who are not active, or you think are likely to get tired after just an hour of hiking, it might be better to bring them first to Manalmon or Maculot. For those who are athletic, those who regularly run or engage in other sports, Batulao and Pico de Loro are good choices. Foreigners and people who like forests would enjoy Makiling very much. Even though these mountains are relatively ‘easy’ and can be done by beginners, they should never be underestimated. Always be sure to orient first timers about the basic principles in mountaineering. Importantly, they should be told not to leave their trash behind. Before doing the hike make sure they have all the necessary gear, enough food and water, and even if it’s a dayhike, make sure they have headlamps. They should also have fully-charged mobile phones and emergency contact numbers, including numbers of the other members of the team. 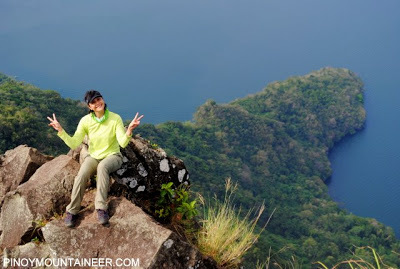 19 Comments on "PinoyMountaineer picks: Best hikes for beginners near Manila"
Mt. 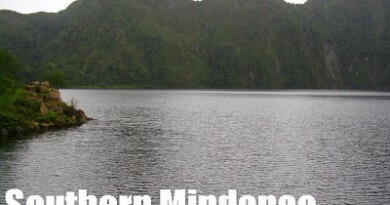 Binacayan and Mt. Pamitinan super lapit sa manila isang sakay lang from cubao!! Regarding dun sa maiingay sa campsite, same what happened to us nung umakyat kami ng Mt. Romelo dati konti lang umaakyat dun pero ang daming hikers nung umakyat kami weekends ng April 2015, my group decided to sleep around 9pm kasi gusto namen mapuntahan lahat ng falls bago kami umuwe kinabukasan. Deadma kami sa ingay inisip namen mamaya tatahimik na din sila pero nung quarter to 12 na yung isang group na maingay nagkantahan na sila at nagsisigawan tapos nagmumurahan pa sila halatang mga lasing na. Sana naisip nila na masyadong late na tapos walang kuryente dun at sobrang tahimik na pag ganung oras saka madami ng tulog pero until 5am hyper pa din sila napuyat tuloy kami kasi naiistorbo tulog namen. No one dared to stop them syempre nakikisama tayo eh. Pero sana hindi na maulit yun kasi hindi lang sila ang tao dun. Okay lang magsaya as long as walang naaapektuhan.